Incidents of carjacking or carnapping are on the rise. In simple terms, carnapping is the act of stealing a vehicle by force. Although there is no certainty as to who will fall victim to this crime or when this crime will occur, there are ways you can keep yourself out of harm’s way. By observing the basic guidelines discussed below, you can avoid being a target of carnapping. Carjackers employ many different methods to steal cars. One of the more prevalent techniques they use involves distracting the car owner. Take for example the scenarios below. The Ruse. You walk into the parking lot and unlock your car to get inside. Once you’re inside, you start the car and put it in reverse. However, you notice that there is something stuck on your rear windshield. Instinctively, you will get out of the car to get rid of that piece of paper. This paper is just the distraction that carjackers need. 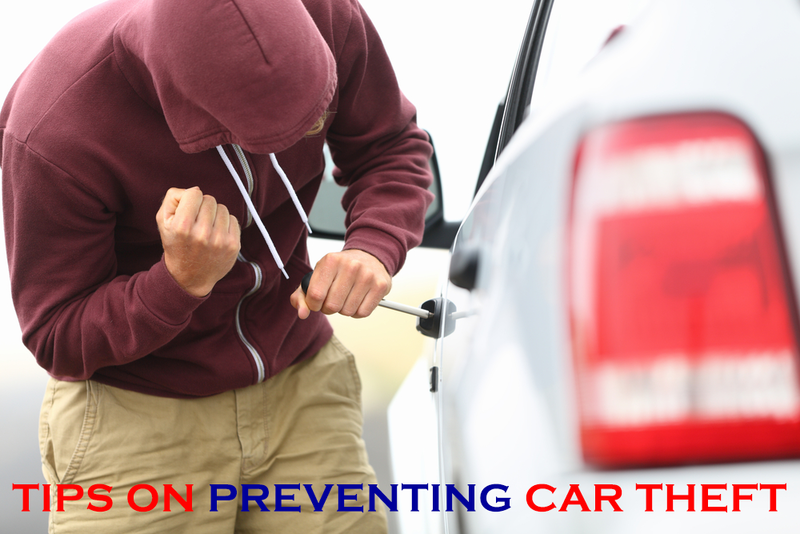 Once you are out of your car, the carjackers waiting nearby will get into your car forcefully and drive away. There have been instances in which victims suffer from serious injuries because they could not get out of the way fast enough. Unfortunately, with your car stolen, things could get worse, especially when all your belongings are inside the car. The thieves now have access to your personal information, as well as to your money, credit cards, and house keys. Aside from losing a car, you might soon have to deal with identity theft. Should you face something similar, the best thing to do is to stay inside your car and drive away. You can always get rid of that piece of paper at a safer place, such as near a police station. If you can’t fight the urge to get out of the car, park the car, remove the key from the ignition, and lock all doors. It could be time consuming, but it will reduce the likelihood of your car getting stolen. Bump and Ride. Some carjackers use another technique known as “bump and ride.” In this method, car thieves will rear end your car, in which case you will be forced to exit the car to assess the damage and to take note of the offending vehicle’s plate number. Once you alight your vehicle, the carjackers will take advantage of the situation and force their entry into your car. You will then find yourself stranded on the highway. In this case, it is recommended that you call the police without getting out of your car, unless you are in a crowded area where potential carjackers won’t have anywhere to go. Parking spots, especially those in dark areas, are highly appealing for car thieves. Hence, it is important that you park your car in a secure place. Never mind shelling out money for your parking if doing so will keep your car secure. Find parking spaces with security guards and CCTVs, as these could keep car thieves away. Losing your car keys or locking them inside your car can potentially put you at risk of experiencing car theft. To avoid falling victim to this crime, it is advisable to find a reliable locksmith. Your locksmith should be able to get you a new set of keys or help you get your car unlocked. Given the fact that by hiring a locksmith, you are actually providing a stranger with access to your vehicle, you should find a locksmith company with impeccable credentials. There have been some cases in which carjackers establish partnerships with locksmiths who specialise in unlocking cars with antitheft locks. It is therefore crucial that you hire a locksmith company that has a positive track record. To check their credentials, you may search for them online and review their customer feedback. The success of locksmith companies depends significantly on their reputation. Hence, you are not likely to find a bad review for a trustworthy locksmith company. During your meeting with the locksmith, you should ask for his licence and inquire about his experience. It is important that locksmiths undergo apprenticeship to enhance their skills. There are many locksmith companies in Melbourne that employ people whose backgrounds have been thoroughly checked. When transacting with a locksmith company, do not hesitate to ask questions; their responses can serve as your gauge when deciding on whether the company is indeed reliable. Cases of car thefts may be rising, but with the tips above, you can keep your car and yourself safe.